Five Star Engineering department have since late 1990’s been providing its clients with engineering/design services. 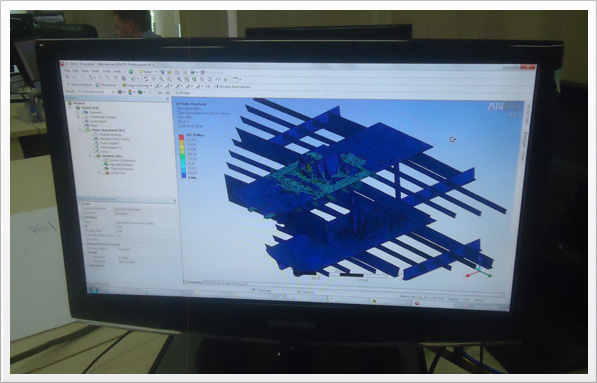 Our 3D Laser Scanning system, is a "state of the art", as built design system and reversed engineering technology. Our highly dedicated team is motivated to meet our customer’s requirements in terms of quality engineering/design and particular time frames. Five Star works closely with classifying societies for structural and design approvals of its engineering packages in order to provide a high quality engineering package at a sometimes very short timeline for its customers. Engineering services for projects can be provided from our Macae engineering centre of excellence. Alternatively, we can set up an engineering and design centre at the project complex. This is especially useful for rig upgrades, de-bottlenecking, expansion and turnaround projects. Five Star invests heavily into software’s that will provide Five Star and our customers organic, controlled and quality growth. We have complete software packages to empower our skilled engineers.